The Post House Country Hotel. The Post House Country Hotel, in Greyton, is the ideal place to escape the stress of city life, celebrate a wedding or host a conference with a difference. The hotel offers spacious accommodation with access to a pub, restaurant and conference venues. 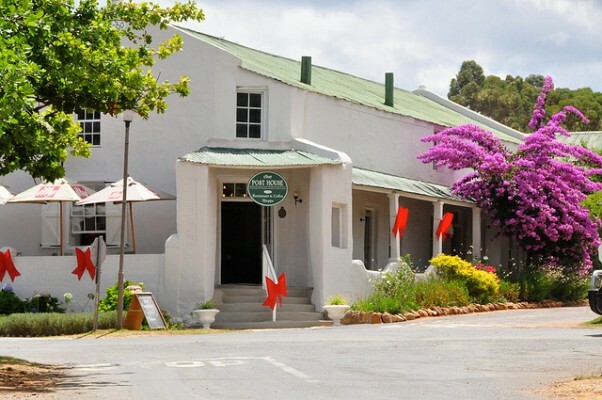 There is something for everyone to enjoy in the Overberg village of Greyton, from exploring the many art studios, to hiking, horseback riding, cycling, bird watching or simply enjoying the spectacular mountain views the area has to offer. 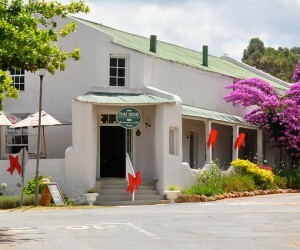 Greyton is also conveniently located within a short driving distance of the Caledon Day Spa and Casino. The main building of the Post House Country Hotel dates back to 1860 and when I climb the stairs and open the door to the restaurant, I am struck by how charming it is. The door frame stands at an angle in an irregular plastered wall, the floor is wooden and light, the ceiling is lime-washed wood. Irish folk music plays quietly from the pub, which is located next to the restaurant. The tables are elegant with fine cutlery and linen napkins. I am greeted by a friendly waitress, who shows me to my table. I stop and warm my hands at a fireplace set deep into the wall. The service is attentive yet unobtrusive. I order wine from the list. There is a fine selection of wines available from the area, which is one of South Africa’s up-and-coming grape growing regions. Warm homemade bread is brought to the table. The menu is short but well compiled with something to suite everybody’s taste. There are also many vegetarian options available. I order the onion tart tatin to start, which is very good. The pastry is crisp and warm and the basil cream is cold. For my main course, I have a braised Karoo lamb shank, which is served on a bed of fresh country vegetables, with mashed potatoes and homemade fruit chutney on the side. The lamb is cooked to perfection and quite literally falls off the bone. I end the meal with dark chocolate orange mousse, served with berry compote. It is a pleasant evening and I sit outside at one of the tables on the traditional stoep (verandah) and enjoy a cup of coffee. The village is quiet and calm, and I feel relaxed. This surely is the perfect place to unwind. If you are ever in the area or in need of a weekend getaway, the doors of The Post House Country Hotel are always open.